3. URL of spoof website disguised as https://arribada.ebay.com/saw-cgi/eBayISAPI.dll?PlaceCCInfo . This looks secure but is NOT! 4. URL is simply a redirect to the actual spoof site (unknown) that has been shut down. However there are likely to be more recent versions of this scam that have active links.
" 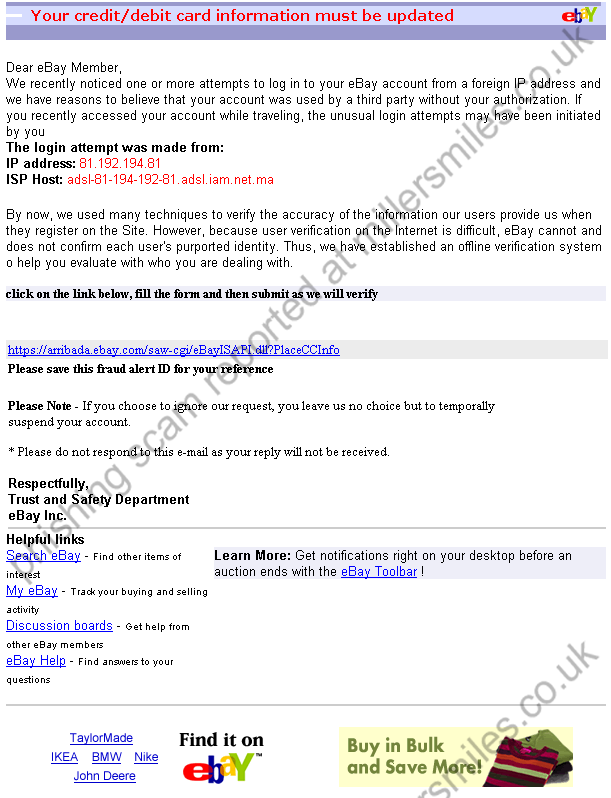 Dear eBay Member, We recently noticed one or more attempts to log in to your eBay account from a foreign IP address ." URL of spoof website was a redirect that has been shut down by the hosting company.